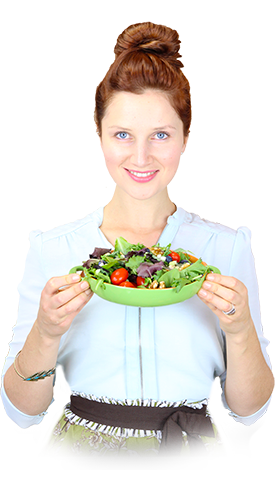 Raw Food Diet Plan (Full course) (Course) and 1 other TRK Members-only course not shown. Join today to unlock instantly. You are welcome. Enjoy your journey! Thanks for letting me know :) I just fixed the link! The food processor that I own and love and recommend is called the Cuisinart Classic: "Cuisinart DLC-10SY Pro Classic 7-Cup Food Processor, White"
I absolutely love fresh fruits and vegetables. Salads and burgers and smoothies are my favoirite to make. I need new recipes though. Hi ! I simply loved your informative article and helpful suggestions !!! I recently bought an Black & Decker 500 Watt Food Processor and earlier and Oster 1000 Wyoming juicer. My blender is an inexpensive Oster for now. Was wondering if I would see health benefits or even reversed ailments with going over 75% raw or 80% to 92% raw ?! Thank you for this wonderful information! I am very excited to start my life in eating raw food and heal my body. Where can I find the recipes for the 30 day raw meal plan? Please advise. All of the best resources I've ever created (including lots of meal plans, including a 30-day plan) can be found in "The Rawtarian's Kitchen" - you purchase a membership, get everything immediately, and you can stay a member (or cancel your membership immediately) for as long as you like! I hope this helps, Michelle! Kik, nice job with your already awesome eating habits! Yes, he is a keeper! We are renewing our wedding vows in Jamaica after 33 years of marriage. Per raw: I can just fix the raw dishes and not say anything or make a big deal that it is raw. It is getting hot in New Mexico now so we really only want salads, etc. BTW, other than my good kitchen knives, my Vitamix is my favorite kitchen tool. I am a self taught vegan chef. Knives, cutting board, and Vitamix and I am good to go. Probably my only concern is raw onions. While I love raw onions they really tear my stomach up plus stay on the breath for so long. I wonder if soaking them in cold water for around 30 minutes would help? Forgot to mention: I do have an Excalibur dehydrator and one of those fancy sprouters that self waters. I really need to re-acquaint myself with them . Was going to go raw a few years ago and never quite made it. I am going back to work as a dialysis RN the end of May. Which means early mornings and long hours. Will need to figure out how to do al this and make sure we are still well fed. My vegan dishes are gourmet and require a lot of chopping and prep work and loads of spices, etc. I will have to just learn to organize well. He definitely sounds like a keeper :) Enjoy your vow renewals! That's a lovely thing to do to celebrate your relationship. That's great that you've got all the equipment. We all go through phases where we do better with our eating at some times more than others. Even me! Re: onions, I would say just omit them when you see them in any of my recipes, unless there is a huge quantity of onions (say, 1/2 cup or more - like in the onion wraps or something). How can I get more protein into my Vegan diet or is that not possible? I have quick a vigerouse exercise routing, and I am i little bit scared that i wont be able to have enough energy to workout. I'm so glad you're interested in raw foods. Have you made a raw recipe yet? Also, if you're really concerned about it, you can opt instead for a very high raw diet and keep some of your favorite traditional protein sources. Hope this helps, and let me know how you get along! Your site is so great, and very pretty! I am just starting on my 100% raw journey, coming from a standard cooked vegan diet. What I'm noticing is that my body really likes complex carbs, like sweet potatoes and beans, which help sustain me throughout the day - eating a lot of fruit still leaves me hungry sometimes. Could you recommend any other ideas for incorporating complex carbs into the diet? Great question. Further, I love how you are in tune with what your body needs!! This is a special skill that many people haven't developed. I am a huge fan of beans. They are also excellent sources of protein too, which isn't as easy to come by on a 100% raw vegan diet. While they should not be eaten raw, they are extremely healthful ingredients. I like the idea of the buckwheat bars, plus I like the idea of you eating some beans. You didn't mention nuts much - are you eating many? I'm basically a junk food vegan and I want to go raw, but I also don't want to completely eliminate cooked food from my diet. So I was wondering if there was a diet plan that balanced raw and cooked vegan food. Thanks! And your article was is informative! The best part is every point is very briefly explained ... seriously its amazing.. Thank you for sharing those great recipes and all the things to help someone to start a raw vegan diet. I've been vegetarian for 3 years now and on and off to vegan too. I'd love to try out the 30 days Ray vegan plan but probably won't be able to buy all those groceries cuz I'm low on money.. I'm doing an apprenticeship and don't get paid that much. Can you recommend some recipes or groceries that are affordable? Hi Johannas, here is a podcast that discusses eating raw food on a budget. It's one of my first podcasts so the audio isn't the best but there IS a transcript, as well. Good luck, and thanks for asking this question.